There are 8 Diet treatments for Depression. Written by sshowalter, ritasharma, FoundHealth. Nutritional imbalances can absolutely lead to the manifestation of depression. Less concerned with a formal diagnosis of depression, many holistically-minded health providers would address what an individual "feeds" their body, believing that what the person consumes is either exacerbating the symptoms of or, conversely, can be changed to help them cure depression. Toxicity and systemic imbalances in the body are caused from lacking adequate nutrition, and this can directly contribute to depression.1 An practitioner less concerned with the formal diagnosis would focus on the individual's specific symptoms and diet, to see how the two are correlated. Understanding the underlying nutritional imbalances that cause an individual's depression can help the practitioner personalize their nutritional therapy. This personalized treatment is then related to that person's underlying cause or imbalance that has been identified, hopefully making it more effective. There are certain foods that create a high level of toxicity in the body and mind. Eliminating these foods can decrease the toxicity that can reduce optimal brain function. High-Fructose Corn Syrup (HFCS), other forms of refined sugar (and even pure sugars like honey and maple syrup9) can increase inflammation of the brain and need be eliminated. These sugars reacts with proteins and forms little crusts called AGEs (advanced glycation end products) which can damage brain cells and tissue. Alcohol is a depressant which slows down the brain's activity and can leave the person feeling depressed after the "high" from alcohol is gone but before the chemicals realign themselves. What is "Mindfulness Based Stress Reduction?" Read more about Depression and SAM-E.
Read more about Depression and Omega-3s. 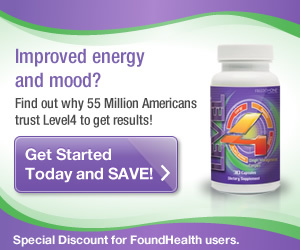 Read more about Depression and Tryptophan (5-HTP). Read more about Depression and Vitamin D.
Read more about Depression and Folate. Read more about Depression and Veganism. As discussed in the Depression Diet Overview section, refraining from highly processed sugars and avoiding poor quality foods writ large, can be helpful in treating depression. Read more about Depression and Macrobiotic Diet. Read more about Depression and Paleo Diet. Morris, M.S., Fava, M., Jacques, P.F., Selhub, J. & Rosenberg, I.H. (2003). Depression and folate status in the US population. Psychotherapy and Psychosomatics, 72(2) 80-7. Retrieved June 1, 2010 from ProQuest Psychology Journals. (Document ID: 305028821). What treatment will help me think more clearly? Depression can always take a toll out of you. So better ease depression than being obsessed with it. Foods too can help you swing your depression and mood. As mood of an individual leads him in correct manner. So mood improving foods are vital in that sense. Here's the list of food which could be tried out to swing your mood and kill the depression.